For nearly 10 years, LA-based architect Cameron McNall kept a drawing on his desk of a residential project that was, by any standard, unusual, and one that would require the right partnership between design and building materials in order to be realized. The real-life version of the drawing, now known as the Tivoli House, came to be thanks in part to McNall’s selection of ALPOLIC® metal composite materials. 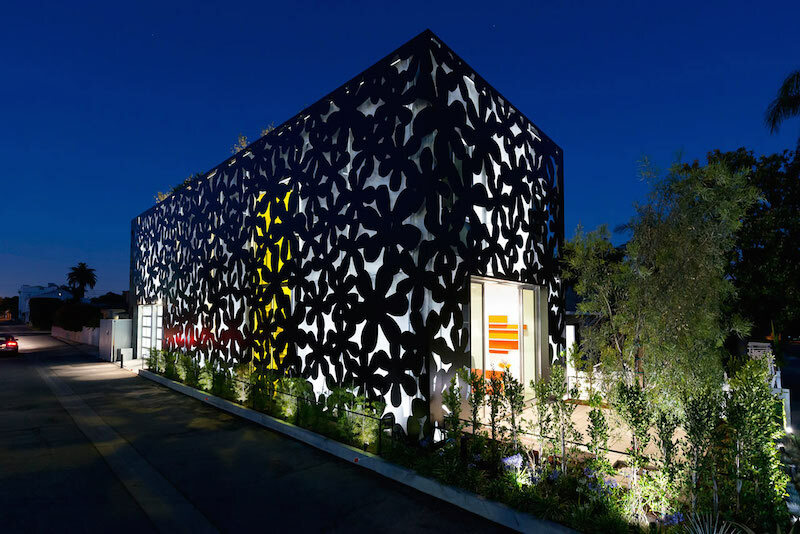 Resembling a “box within a box,” the home’s façade is adorned with black ALPOLIC material perforated with floral shapes to reveal the white stuccoed, two-story inner wall. The nine-inch gap between the two provides a sense of dimensionality, allowing light to shift as people inside the home move across windows or as passersby breeze past on the street outside. McNall fabricated and installed the ALPOLIC material himself, illustrating the product’s ease of use, adaptability and lightweight nature. His company Electroland is known for pushing the boundary between art and architecture, and the Tivoli House is a perfect example of that intersection. To learn more about how ALPOLIC can help bring your vision to life, visit www.alpolic-americas.com.